May 6 marked the 100th anniversary of the birth of legendary American filmmaker Orson Wells. Hear his infamous radio recasting of War of the Worlds and listen to his conversation with the book’s author H.G. Wells as they share their surprise at the public’s hysteria at this fictional account of a Martian invasion. (For a real treat, watch a countdown of Wells’ best films here.) As well, discover how flying machines have been a motif in numerous cultures for millennia. Click here. 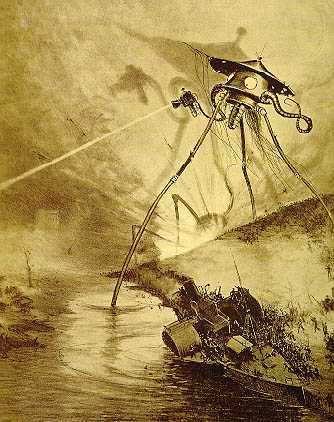 This entry was posted in Blog and tagged AntiquityNOW, AntiquityNOW month, history of flying machines, Orson Wells, War of the Worlds. Bookmark the permalink.